Last night was spent in a nightclub (first time in forever for me) and a country bar--quite the nightlife spectrum, I know. So I'm happy to relax, while still being productive, today. It's not 1pm yet and breakfast (almond flour pancakes) has been made and eaten, and my laundry is almost done. 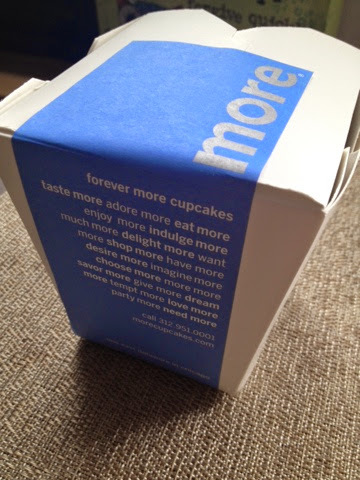 I've also gone on a little cupcake run to More. City living has turned me into a foodie! I decided to make this Sunday even more productive by participating in The Sunday Social, my first time since sometime last year! 1. Who do you call when you need to vent? Timmy; my parents; brother; or some of my best friends (Trish, Luana, Fara). 2. Where do you go when you need alone time? When I'm living with Timmy and we get into a spat that isn't resolved within a couple minutes, I go into a separate room and watch TV or read, or I go for a run. 3. What is your favorite alone time activity? 4. What is something we should all stop and read right now? I really enjoyed The Fault in Our Stars, which is coming out in theaters soon I think. You'll definitely want to grab some tissues, though--it's quite the tearjerker! I always go for a run when Kyle and I get in an argument.